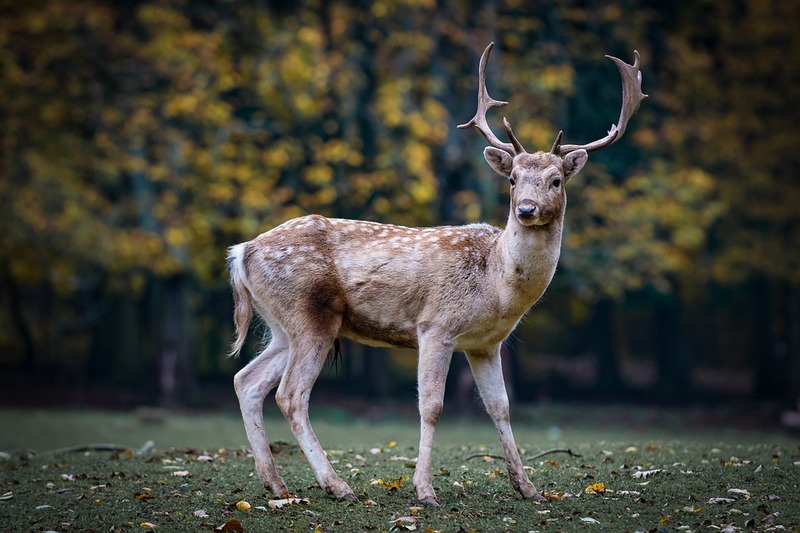 Deer collisions in Japan have become a big issue so now certain trains have the ability to bark and grunt like a deer, this is all in a bid to save the wildlife from entering the tracks and being killed. 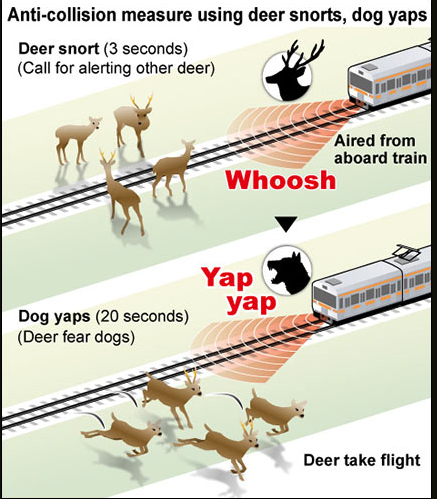 The Railway Technical Research Institute in Japan came up with this idea because Deer naturally flee when they hear a dog bark, they also use the sounds of Deer grunts which warn other animals to flee. Researchers used the sounds on the early evening and late night routes which is when the deer are spotted most by the trains, amazingly there was a 45% less sighting of Deer. One theory as to why Deer head towards the lines is that they lick the tracks to get more iron into their diets. If the new idea works then it will mean that anti-trespass devices can be taken down, rope, flashing lights and even Lion poop was used in an effort to deter the animals from entering the track but so far the barking trains seem to have had a lot of positive feedback.